Melissa Made: Whimsy Stamps August Release Day Blog Hop! Whimsy Stamps August Release Day Blog Hop! 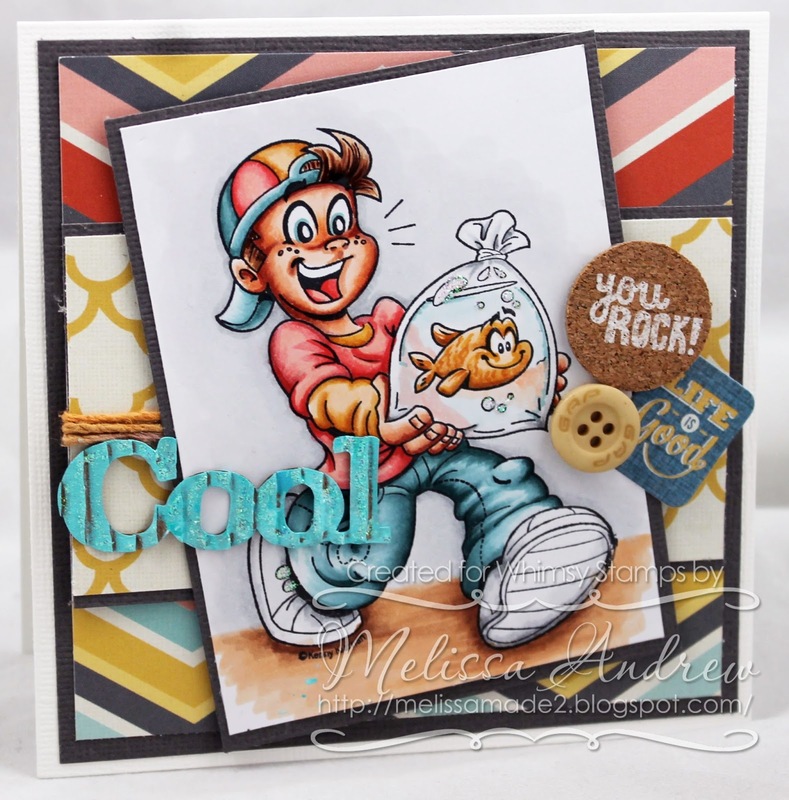 Hello and welcome to the Whimsy Stamps August Release Day Blog Hop! Just as we did last month, we are now going to host a 3-day new release event each month where we will have a Sneak Peek Blog Hop (yesterday) on the day before the release, a Release Day Blog Hop on release day (today! ), and finally a Review Day Blog Hop the day after the release (tomorrow). Today we are excited to share sneak peeks of some of the brand new Crissy Armstrong, Elizabeth Bell and Kenny K stamps that will be available to buy from the Whimsy Stamps store TODAY! To be entered into today's blog hop prize draw, be sure to leave a comment on ALL of the DT's posts listed below by 12.00PM EST tomorrow. All winners will be announced here on the Whimsy blog. My creation today features the OUTRAGEOUS new image from Kenny K called Goldfish Kid. I colored him in my copics and used a bunch of fun papers to highlight the image!